Provide your flowers and vegetables with this nutrient rich soil that contains plant food to fertilize the soil for up to 3 months. Soil helps to retain moisture and won't dry out. 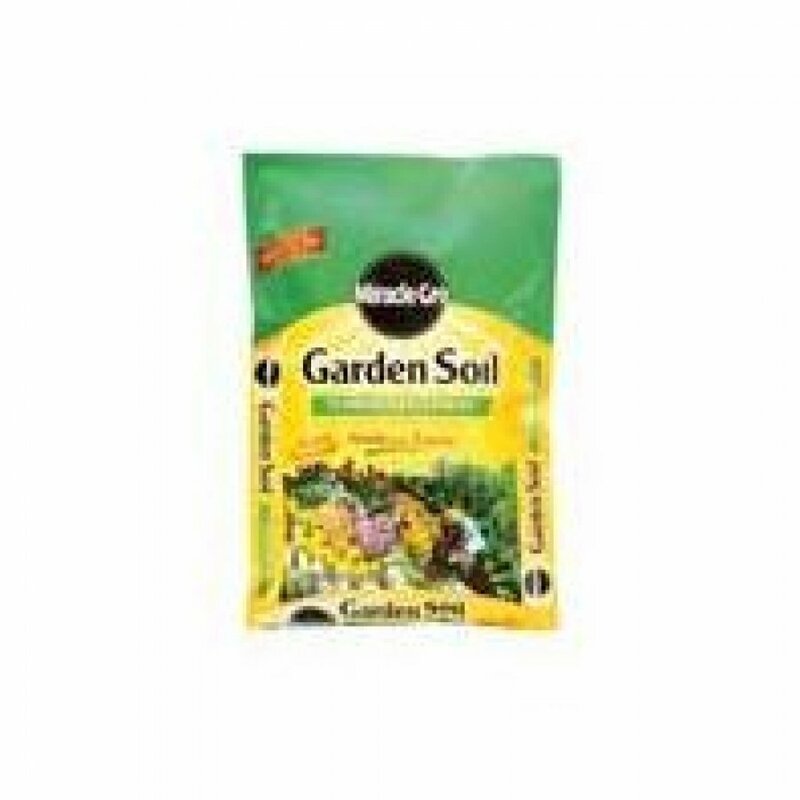 Use with annuals, perennials, and vegetables. Miracle-Gro Garden Soil for Flowers and Vegetables has different options and/or variations, please choose below. Miracle-Gro Garden Soil for Flowers and Vegetables is great for growing a variety of annuals, perennials and vegetables. Soil is formulated with Miracle-Gro Continuous Release Plant Food that feeds your plants for up to 3 months. Keeps plants moisturized and helps prevent them from drying out. Size is 1 cu. ft.
For planting individual plants. Dig a hole twice as wide as the container/rootball. Blend garden soil with native soil in a 50:50 ratio. For amending beds, apply a 3 inch layer and work into the top 6 inches of the soil. Plant seeds or live plants following specific package or plant tag instructions. Water thoroughly after planting then daily until plants are well established. Apply when planting flowers, vegetables and herbs outdoors (not in containers), or when preparing soil in outdoor gardens and landscape beds. Amend in-ground gardens annually mixing 50/50 with existing soil. When applied at a depth of 2 inches, 4 cubic feet will cover 24 square feet. For use with all annuals, perennials and vegetables. Plants will grow better blooms and vegetables, lush foliage, and strong roots. Enriched with Miracle-Gro® Continuous Release Plant Food to help get plants off to a great start and feed up to 3 months. A complete garden soil for outdoor, in-ground use. Ideal for annuals, perennials and all types of vegetables. Water-absorbent formula helps keep young plants from drying out. Improves existing soil to build strong roots. Contains rich organic ingredients, sphagnum peat moss and manure to improve soil condition and control moisture. Made in the usaSphagnum Peat Moss, Composted Bark, Perlite, Ammonium Phosphate, Ammonium Nitrate, Calcium Phosphate, Potassium Sulfate, And Nuisance Dust.